The words "fun" and "fabulous" come to mind when we think of Vanessa and Angela Simmons. These moguls-in-the-making are the true definition of social butterflies. But it's not always just fun for them. Their Pastry shoe line and budding acting careers (Vanessa) keep them running. Whether at red carpet premieres or fashion shows, the Simmons girls are always on the scene. Take a look at how these budding businesswomen keep a busy social calendar. 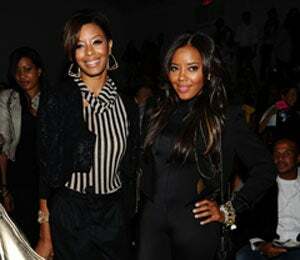 The words “fun” and “fabulous” come to mind when we think of Vanessa and Angela Simmons. These moguls-in-the-making are the true definition of social butterflies. But it’s not always just fun for them. Their Pastry shoe line and budding acting careers (Vanessa) keep them running. Whether at red carpet premieres or fashion shows, the Simmons girls are always on the scene. Take a look at how these budding businesswomen keep a busy social calendar.